No matter the weather, golf at the Lake of the Ozarks is better, meaning golf is a four-season fixation at the Lake. 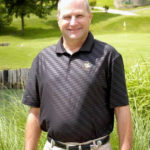 Many of the Golf Trail‘s courses are open year-around and the lower prices and less crowded fairways mean that getting in a couple rounds of golf over the holidays is a great way to spend time with family and friends. 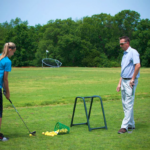 So, check with your favorite golf courses at the Lake to see what kind of holiday golf specials they’re offering and make your fall golf getaway a family affair. 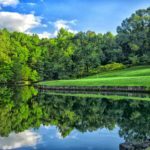 Several Golf Trail resorts have special holiday events and activities for golfers and their families to help make for a memorable and festive outing at the Lake of the Ozarks. Care for delicious Thanksgiving meals with all the trimmings but without the hassles of cooking or cleaning up? The Lodge of Four Seasons and Tan-Tar-A Resort have you covered. Both resorts are offering Thanksgiving buffets for their guests on Thursday, Nov. 22. Also at Tan-Tar-A, there will be a bonfire and sing-along, a visit with Santa and a comedy show in conjunction with the lighting of the resort’s holiday lights. 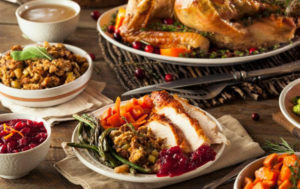 Guests of Old Kinderhook can also enjoy a Thanksgiving dinner on Thursday, Nov. 22and the grand opening of the resort’s seasonal Christmas Village on Friday, Nov. 23. The Christmas Village will feature Santa Claus and his elves, carolers, s’mores, gingerbread house-making stations and horse-drawn carriage rides. 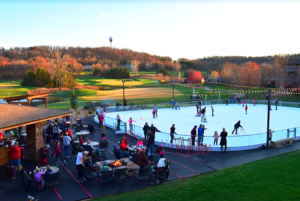 The Ice, Old Kinderhook’s outdoor ice rink, will also be open for those that want to do some holiday skating. The Christmas Village will be open every weekend, beginning Friday, Nov. 23 through Sunday, Dec. 23. The Lake area’s four drive-through holiday light parks will also open for the season on Thanksgiving. 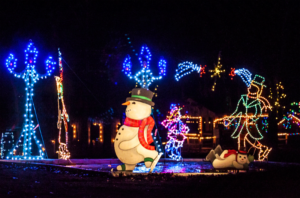 The Lake’s largest light park, The Enchanted Village of Lights, is located at the City Park in Laurie and is open from dark until 9 p.m. on weekdays and 10 p.m. on weekends. Also in Laurie is the Festival of Lights at St. Patrick’s Shrine. The Festival of Lights is open from 6-10 p.m. The Unity Circle of Lights in Versailles is open from dark until midnight. And, the Osage Beach City Parkgets dressed in the holiday spirit as well. Admission to all four light parks is free, but donations are welcome. 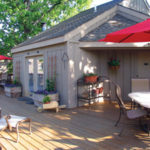 For other holiday events at the Lake, visit the event calendar at www.FunLake.com.